The opening of a Regus business centre at Centurion, near Pretoria, creates a new growth opportunity for businesses in South Africa. As well as offering businesses in Centurion and Pretoria a new and smarter way to work, it provides a new base for businesses that want to expand their reach in South Africa. Figures for Regus’s 12 other business centres in South Africa show that more and more companies are using Regus’s flexible workspaces to work in new places and new ways. Demand was up 39% in 2011, compared with 2010. Regus’s 13th business centre in South Africa extends the option of using Regus flexible workspace to companies around Centurion and Pretoria. They can use the centre for a range of purposes, including: using virtual office solutions or ready-to-use office space to establish a presence in this area; renting meeting rooms and video communication studio for a few hours or longer; walk-in workspace for mobile workers or business travellers; and as a flexible and scalable alternative to fixed office working. 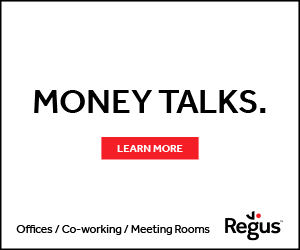 Recent research for Regus shows the significant benefits available to businesses that take up these more flexible ways of working. The study showed that 72% of South African businesses believe flexible working practices lead to increased productivity, and 68% see a direct link between flexible working and increased revenues. Commenting on the opening, Joanne Bushell, VP for Middle East and Africa, Regus, said: “There are clear positives in 2012 for businesses in South Africa, such as improving growth forecasts, the market-friendly budget, and the government’s commitment to investment in infrastructure. By setting up this new centre in Centurion, we are helping businesses grasp the opportunities available here. We’re also helping them work more efficiently.